The nasty cold weather in February really tried its best to create some havoc in the garden with new record lows of -18.5 °C (-1.3 °F) here in Black Creek. A few plants succumbed but damage was surprisingly minimal. Now with the few repairs done and the garden well on its way into the new growing season, we have set our schedule for our 2019 Garden Open Days. Our garden and small nursery will be open on Fridays, Saturdays and Sundays starting the last weekend of April and every weekend following through May and June…with a few exceptions noted in the schedule below. (Our eldest grandson is graduating in June!) 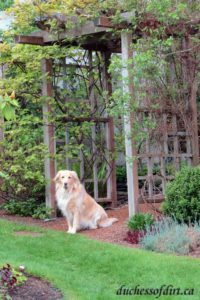 Garden Open Hours are 10 a.m. to 4 p.m.
We sincerely welcome visitors to our garden…both avid gardeners and plant collectors as well as people who simply enjoy wandering through a garden. Many visitors to our garden have told us this is a lovely place to bring their friends and family, as a part of the Comox Valley worth seeing. Children are also welcome to visit our garden. However, we do politely ask you to keep your child/children under control at all times. And while we are staunch dog lovers ourselves, we unfortunately have to draw the line on your dog accompanying you on a garden visit. 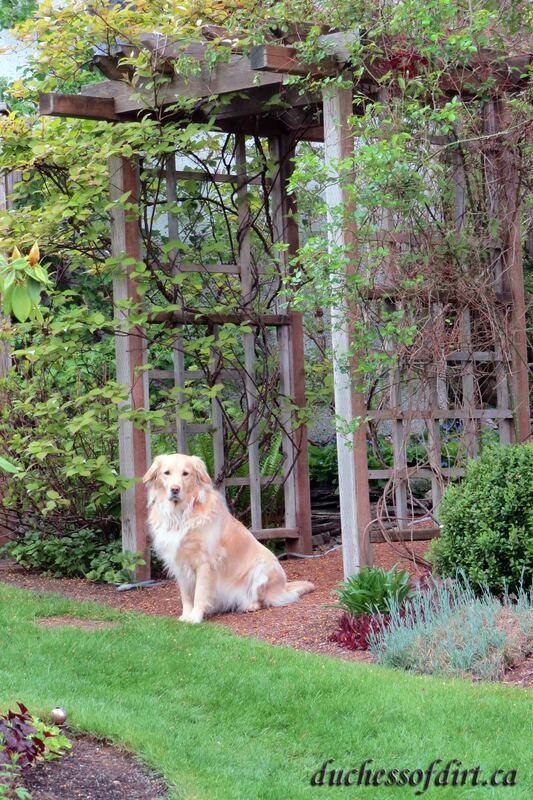 Our own dog Sadie…the self-proclaimed Garden Greeter….is well trained to stay out of the garden beds but we are apprehensive of possible damage from dog visitors since this is a show garden and open to many groups who travel from distances to visit. We thank you for your understanding of our position on prohibiting your beloved pet. We do try to accommodate other people’s schedules, especially since we are only open Fridays, Saturdays and Sundays…the three days of the week on which we can guarantee we are here. So…if our Open Days noted below do not fit into your schedule, please contact us to arrange a suitable alternate day. We are flexible, but do appreciate if you would please phone or email ahead to make arrangements. 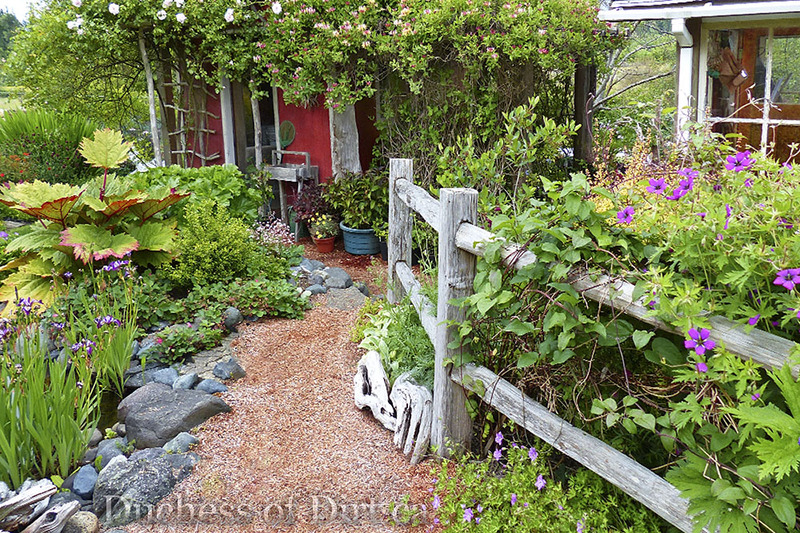 And please contact us if you need directions to our garden. Garden Hours: 10 a.m. – 4 p.m.